WILLEMSTAD, CURAÇAO– I4F, a group of companies providing patents and technologies to the flooring industry, today announced that it has signed a patent partnership agreement with CFL Flooring for a new engineered stone, wood veneer composite base flooring board. The breakthrough engineered stone, veneer board resolves virtually all the disadvantages currently associated with natural wood flooring by reducing moisture intake and flammability on any floor level or room type. 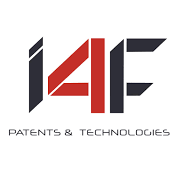 In addition to I4F receiving licensing rights for the new board, the partnership also opens up future collaboration in the area of patented technologies. CFL is fast becoming one of China’s leading flooring manufacturers and a leading Asian flooring innovator.